For our final Special General Meeting of the season we will be holding a ‘Virtual’ meeting as a live broadcast on-line. 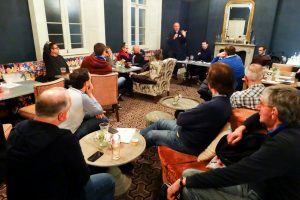 This gives members who have been unable to attend SGMs this season in person a chance to hear what the Trust has been engaged with on their behalf and to ask questions via email beforehand or on the chat page whilst listening in. Richard Weekes will talk about the Trust’s various activities to improve the Atmosphere at Stamford Bridge and Dan Silver will be reporting back and answering questions about our links with overseas members. You can participate in the meeting by listening live at www.mixlr.com/chelsea-fancast available on your computer, phone or tablet (using the mixlr app). We will be answering questions on the night but if possible would request that questions be sent in advance to membership@chelseasupporterstrust.com using “VGM” as the subject line. 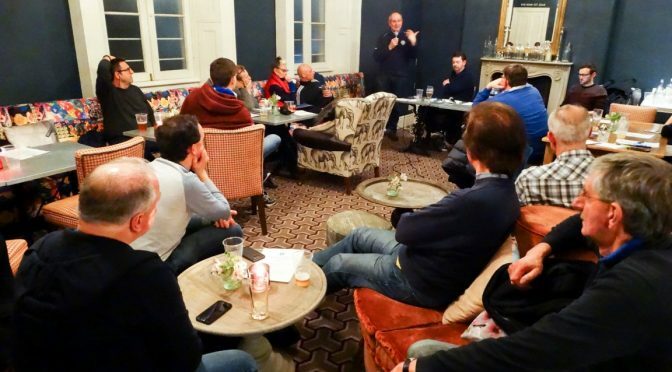 Questions from CST members – We would welcome questions in advance to membership@chelseasupporterstrust.com using “VGM” as the subject line, by Thursday 22nd June (1.00pm) to allow the panel to review and research your answers prior to the meeting. It is anticipated that the formal meeting (including the Q&A) will end by 9.00pm at the latest.